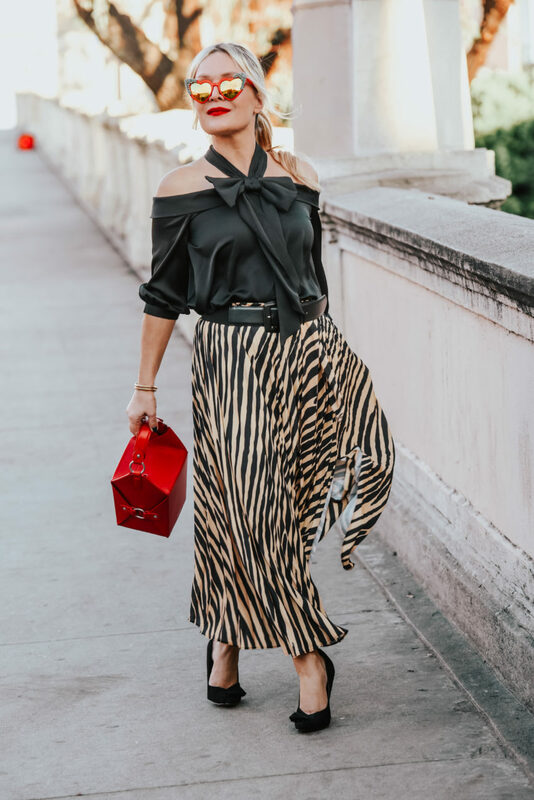 Zebra Print Skirt, Halter Top. And here we are at the end of another year! It has been an epic one so I’m sad to say goodbye but a new adventure awaits and whether its fashion or travel I am always up for a new adventure. 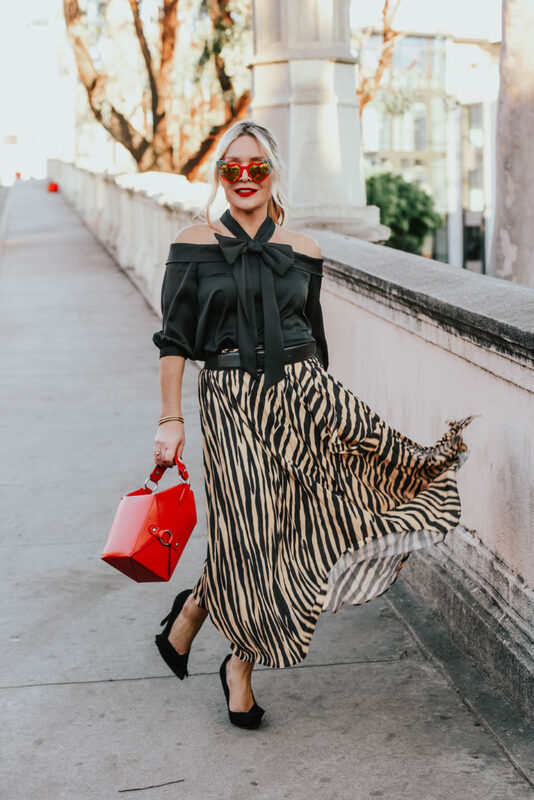 Animal print was obviously a huge trend in 2018 and I’m sure it will continue well into 2019. 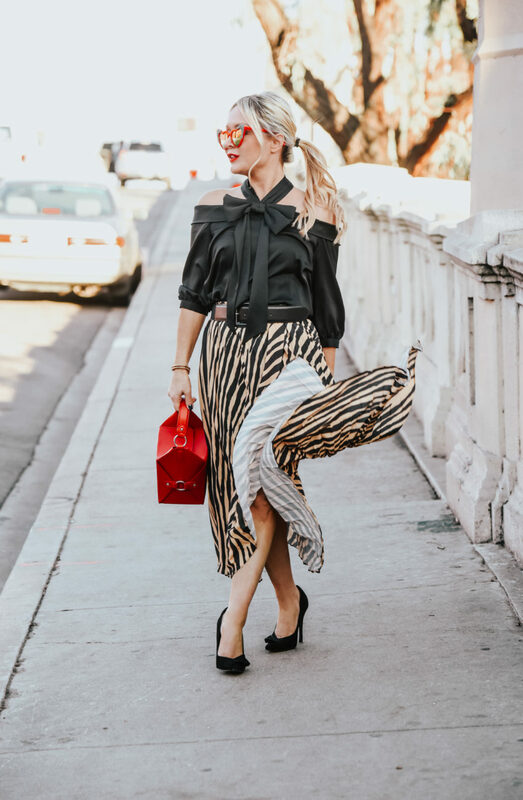 Straying from my usual leopard, I fell hard for this zebra print skirt. 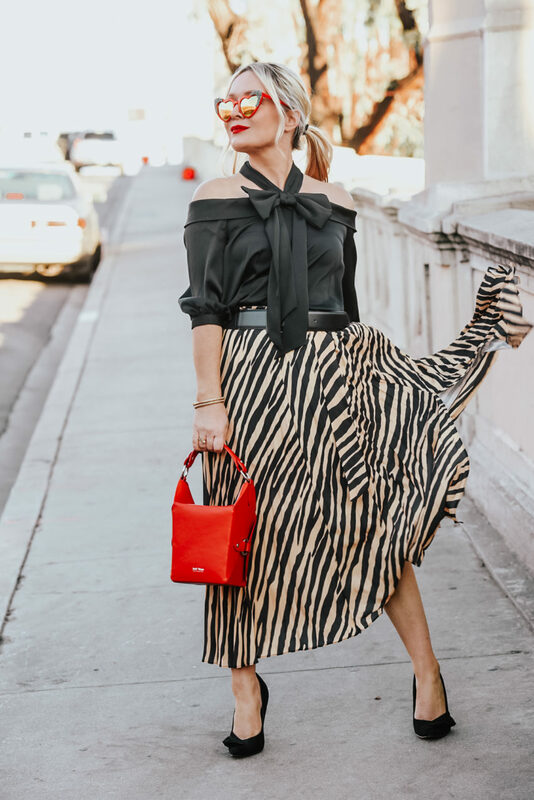 This twirly midi skirt combines my love for animal print and stripes, it is unfortunately sold out but I did link some other favorites below. 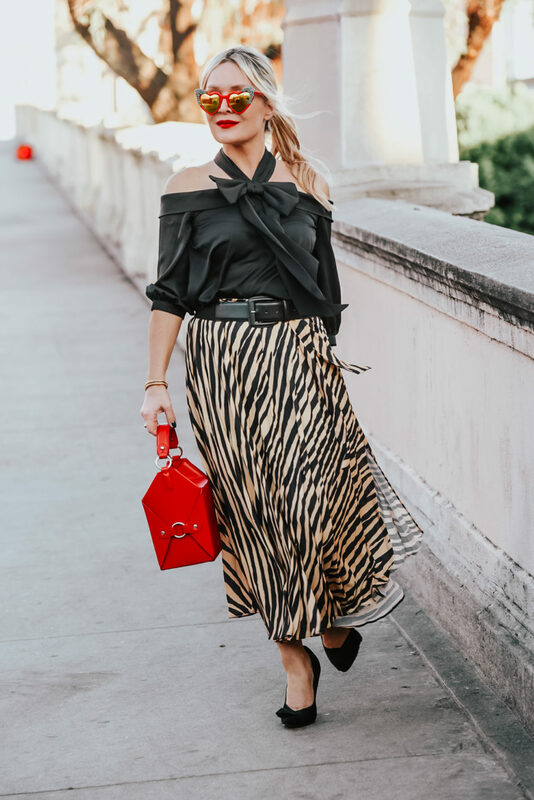 This look is something I would wear out for an intimate New Years Eve dinner with friends but this skirt is so versatile that with knee high boots and a turtleneck (how I wore it last week) you could wear this to the office too. 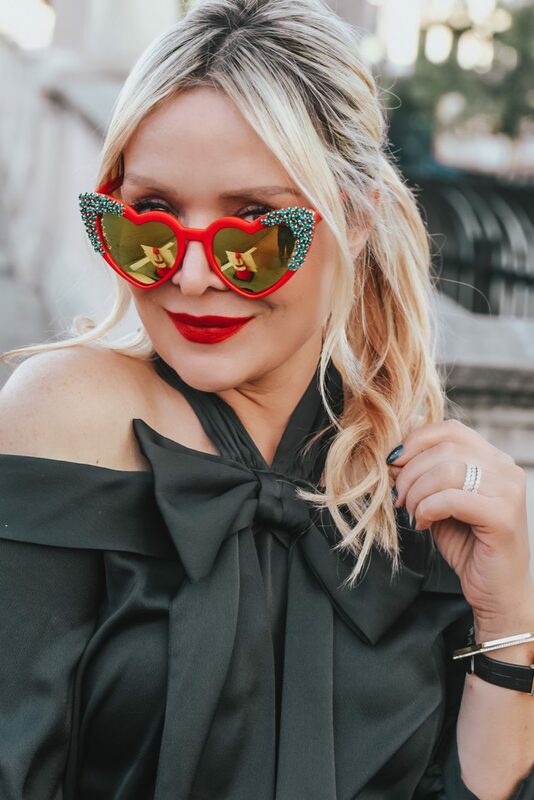 I also want to give some airtime to these fabulous heart shaped sunglasses from Rad & Refined, I took them on my Caribbean cruise earlier this month and can’t wait to wear them next month in Mexico. Check out all of their super fun, statement sunglasses you won’t be able to resist grabbing a pair or two! I have spent the last week (since Christmas Eve) with no make up on, in PJ’s or sweatpants, watching all the awards screeners & eating fondue or something equally as decadent and its been pure bliss! That being said I think Im ready to get back to business and see where things go this year! 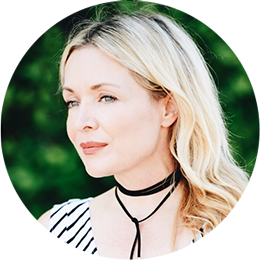 Thank you so much for making this little blog of mine the best thing I ever did with my life, it has brought me so much joy and it wouldn’t be possible without all of my fabulous readers! Wishing you all a wonderful New Years Eve and an ever better year ahead! 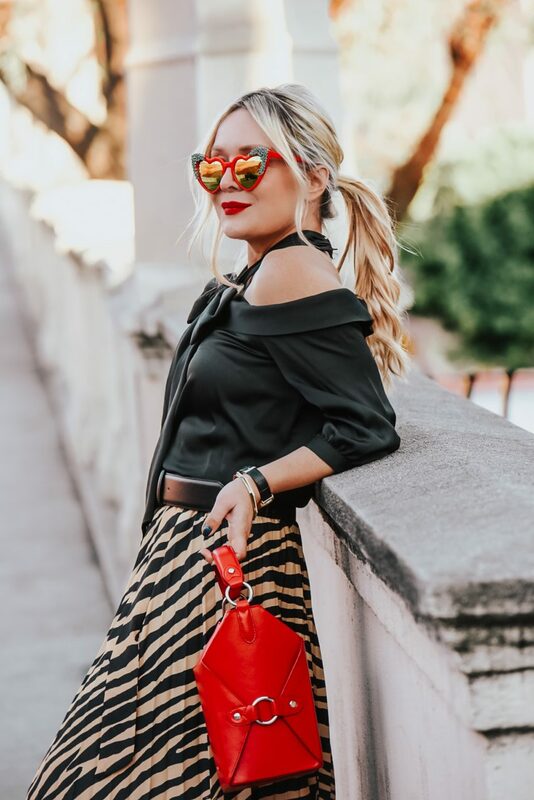 Red Midi Skirt, Pom Pom Sweater. Such a fab ensemble you have here dear. 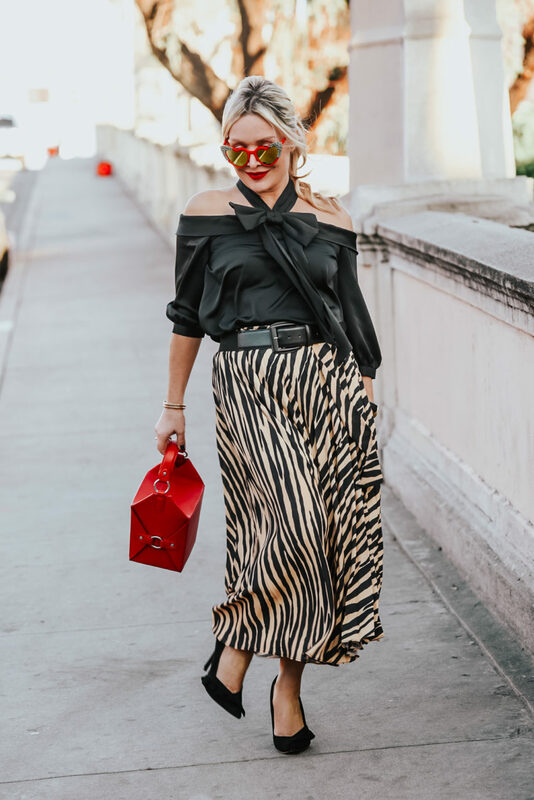 Loving the pop of red from the bag, really gorgeous look!